Tropical patterns like tropical banana leaves, bright florals, palm fronds, and exotic birds are trending again! The ‘island getaway’ inspired design is having a big moment nowadays. People are admiring tropical motifs. 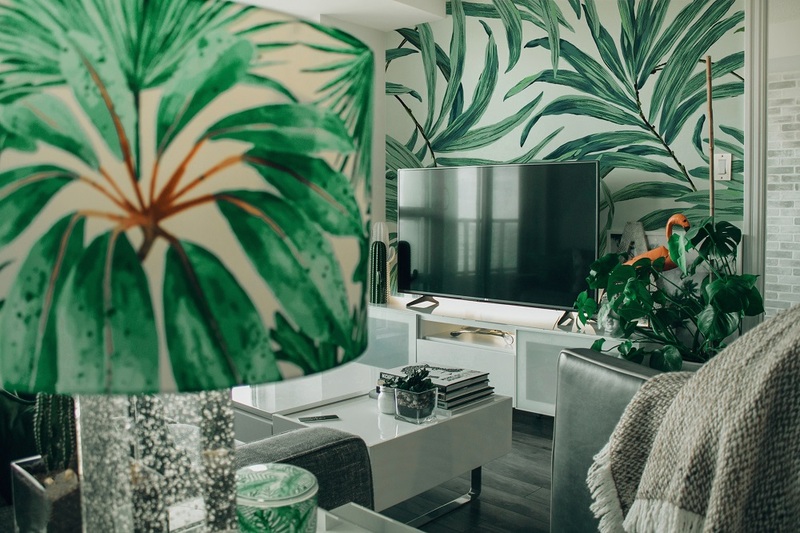 Homeowners are embracing bold, tropical patterns with banana leaves, wildflowers, fruits, palm fronds, and exotic birds. They are using these kitsch patterns to create stunning feature walls, statement ceilings, throw pillows and cushions. 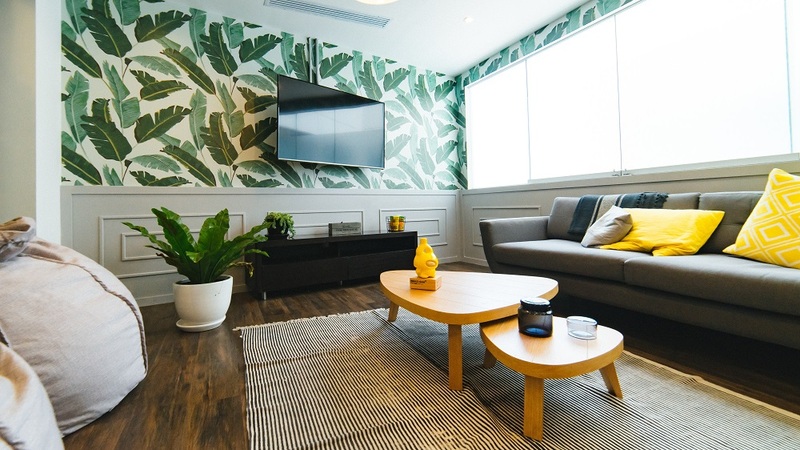 Integrating these patterns into your current home interior is daunting for most homeowners. We all celebrated neutral, clean, and streamlined interiors for decades. But, you shouldn’t fear the idea of embracing this design. It works well with a lot of interior styles. Plus, these bold patterns add pizzazz to a room. These make a room feel warm, fresh, sunny and energetic. When used properly, these give you a sense of escapism, which is comforting after a hard day’s work. 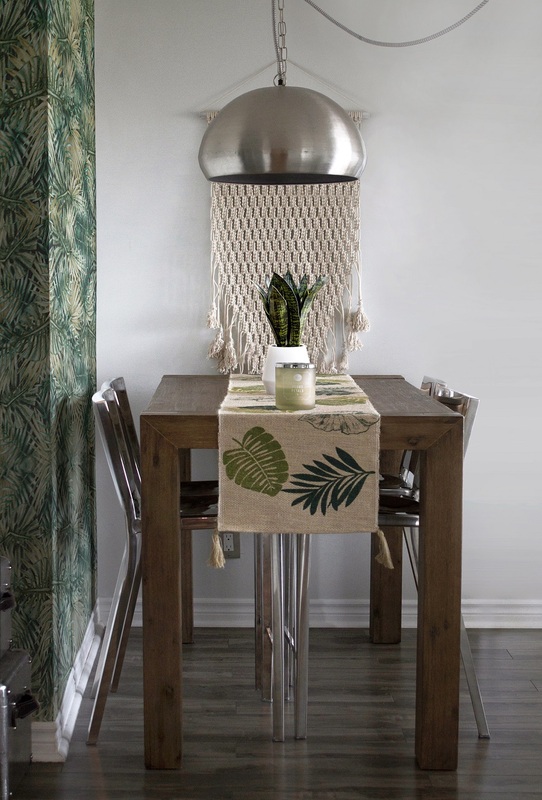 As mentioned earlier, you can inject tropical patterns in almost all interior styles. When you prefer ones with a minimalist bent, use these bold design elements to liven a minimal space a bit. 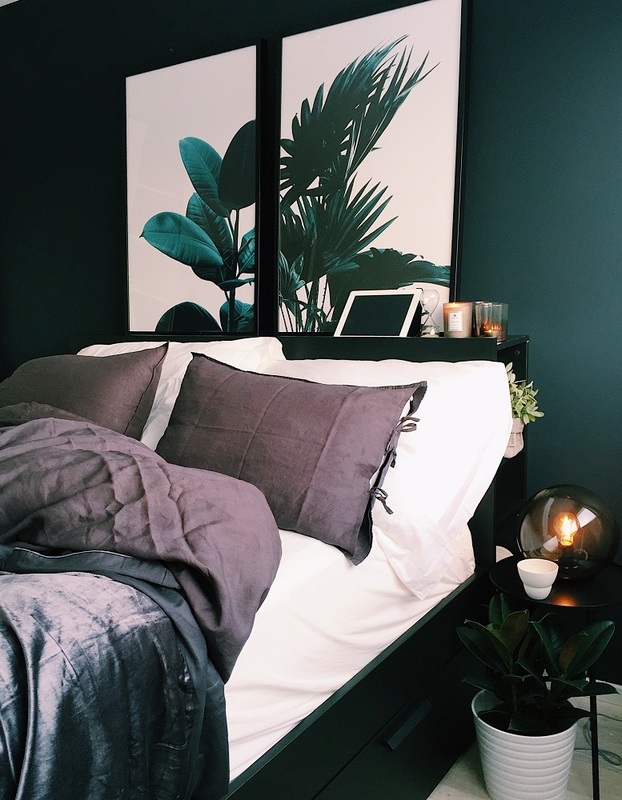 Try: Use a tropical-printed bedspread, window treatment, or rug to keep the bedroom contained. One is enough; it will stand out even more if it’s alone. Then, place indoor plants on the bedside table. 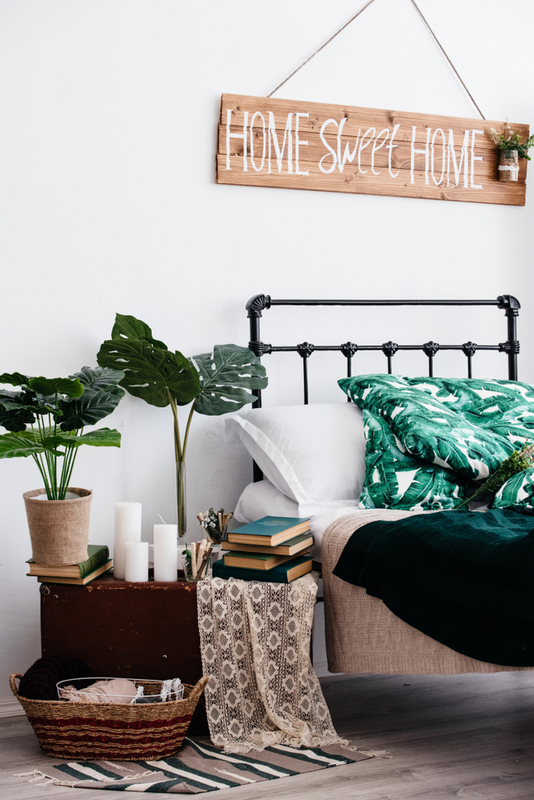 If you’re eccentric, opt for a bold and bright tropical wallpaper and scatter a few more jungle-inspired accessories in the room. Follow your chosen colour palette so you arrive with a cohesive living space. Try to be consistent with the patterns too. Try: Use accessories and statement pieces that make sense when used together. Here, the leaf wallpaper relates to the decorative lampshade. Decorating with a flamingo (bird) statue, glass with cactuses, and indoor plants make sense too. Always start in small doses. It is easy to overdo a design when working with daring patterns. Start with temporary accent pieces like curtains, pillowcases, rugs, blankets, window treatments, decorations, or artwork. These instantly revamp a room. Plus, these are easy to change and remove. If you think you can commit to tropical patterns, go for patterned wallpapers or upholstered furniture. Try: Balance is important. It’s either you dress up or dress down. When you have a striking design wallpaper in a room, surround it with simple and plain pieces. Opt to create fresh and laid-back interiors, regardless of your style. Do not look at the pattern alone. See how the pattern works in a room. Does it contain a certain area? Does it warm up a home during the cold months? Is it giving you a refreshing summer vibe? Is it giving us relaxing interiors? Try: Lay an eccentric wallpaper to highlight the dining area. Use wooden furniture over stained wood flooring and accentuate using metallic and woven elements. Need a building designer? Find design professionals based in Perth, WA. Get a FREE Quote when you contact us today.